As all of the residents and homeowner’s in Ridgefield know, this town is a special place to call home throughout all four seasons of the year. However, there are few times that are quite as special and festive as the Holiday season. Each year, hardworking members of the Ridgefield community pool their efforts together to host a variety of Holiday-themed events that truly help to add to the spirit of the season for every family lucky enough to call this place home. This year, I am excited to say there are many holiday-themed events planned from now through the new year. Here are just a few of my favorites from years past and a few that are new but highly-anticipated. The Ridgefield Holiday Stroll has become one of the favorite holiday traditions in downtown Ridgefield. The area shops and homes are all decorated for the holidays and the overall feeling is nothing short of magical. Enjoy horse-drawn carriage tours of the town for a small cost, shop elegantly decorated shops, listen to strolling carolers, and see singing Toy Soldiers. Breakfast with Santa is available for the children on the December 2nd, and there will be several activities for children to enjoy each day. It is a must-experience event that will put you in the mood for the holidays and leave you enchanted. Founders Hall is pleased to launch the Wreath Festival this year as a way to start the holiday season. This three-day event will feature wreaths, swag, and other holiday décor that will be available for purchase. All money made from the sales are to support Founders Hall. Music, entertainment, art show, Gingerbread House competition and more holiday-themed events will take place over the three-day festival. The Artists Guild has successfully hosted the Festive Home Preview for the last 14 years. It has become one of the most anticipated Ridgefield holiday events. The opening night party gives you special access to preview this year's displays and goods. The party will include music, food, and drinks. The festive home event officially opens on the 17th to the public. This is the largest fundraising effort for the Artists Guild for the year. Local artists will be featured with original artwork and specially curated collections for decorating the home for the holidays. The Gingerbread House Contest is one of the newest Ridgefield holiday events. This will be the first year for this event and it will take place at the Wreath Festival. It is a fun event for the children of the community and ribbons will be awarded at the end of the event. Prizes for Best Overall, Most Outlandish and Best Traditional houses will be awarded. This is part of the Wreath Festival being sponsored by Founders Hall. Want To Stay In The Loop On All Of Ridgefield's Best Events? Every month, I strive to fill this blog with all of the most current, exciting, and relevant information about events, news, and local Ridgefield happenings. 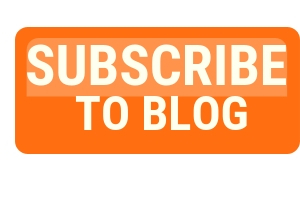 Please subscribe and come back to my Ridgefield blog to discover everything that is happening around Ridgefield and learn a thing or two about how to grow your wealth through real estate here too. Oh, and if you ever have any questions about Ridgefield real estate, don’t hesitate to reach out to me! I’m always happy to answer your questions and give you the most up-to-date advice about all things Ridgefield (and real estate).